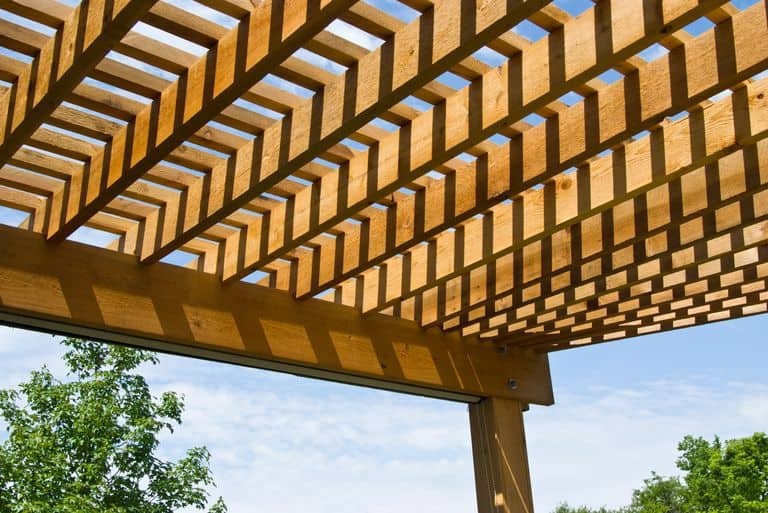 Before we start talking about a tutorial or blueprints for these beauties, let’s talk about what a pergola is. It’s a garden feature that looks a bit like the top of a gazebo or sometimes describes as a covered walkway. 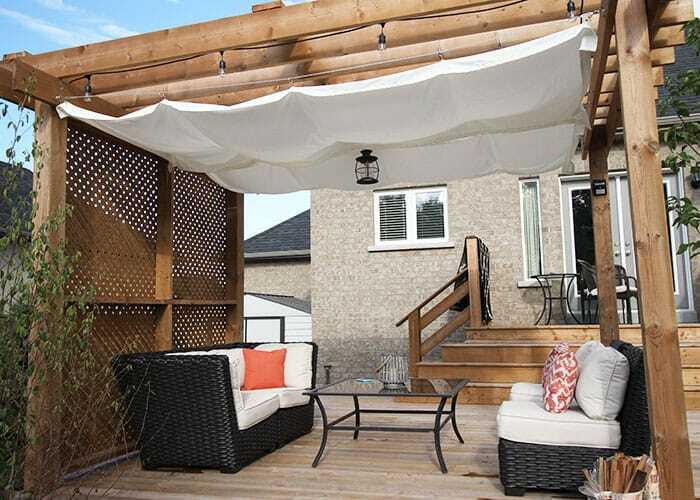 It can be a really luxurious addition to a larger backyard and help to transform a space into something magical and brand new. 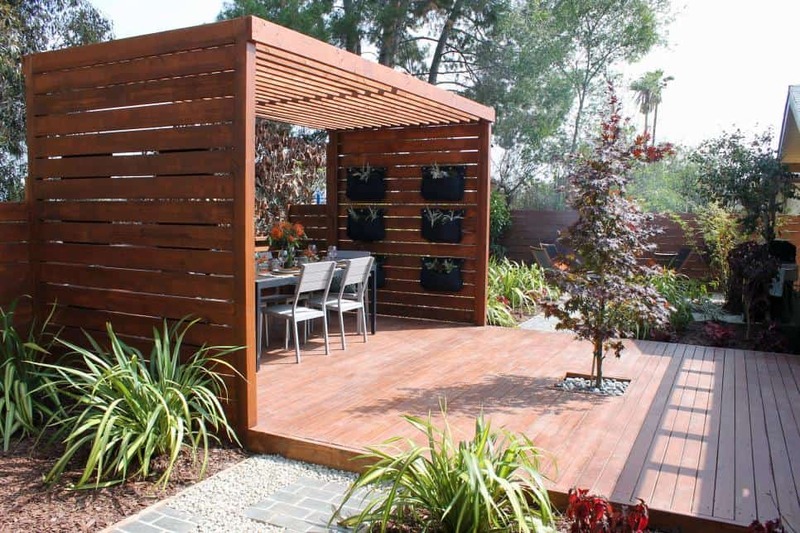 Often made from lattice and wood bits, you can actually learn how to craft your own design and really personal your outdoor area. Let’s have a look. 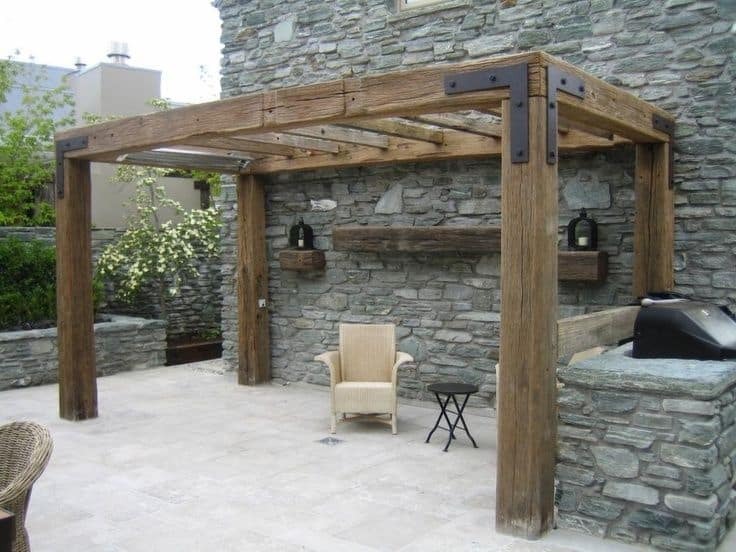 Popular Mechanics has a classic pergola design that one can follow. 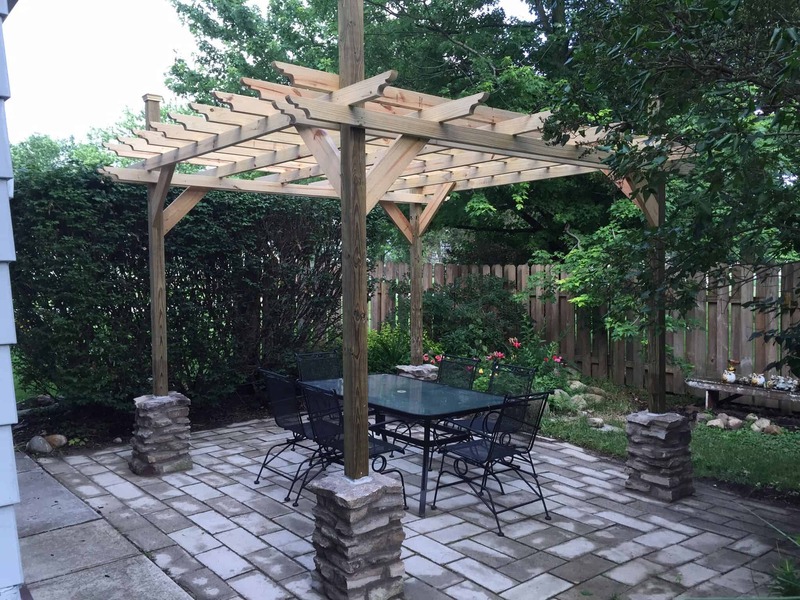 If you’re feeling handy and want to create something special and versatile for your backyard this is the one to dive into first. Check out the blueprints after the jump. 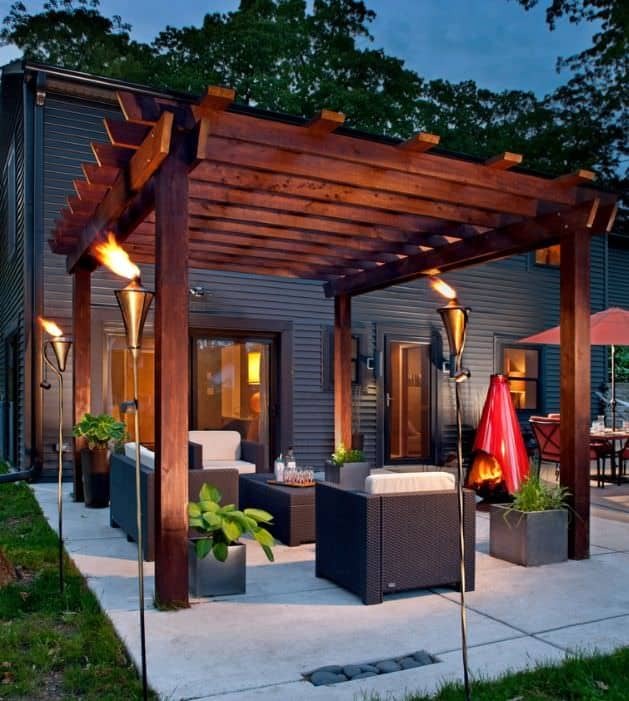 If you’re looking for a structure that doesn’t seem as bulky, then try this one found over at HGTV. 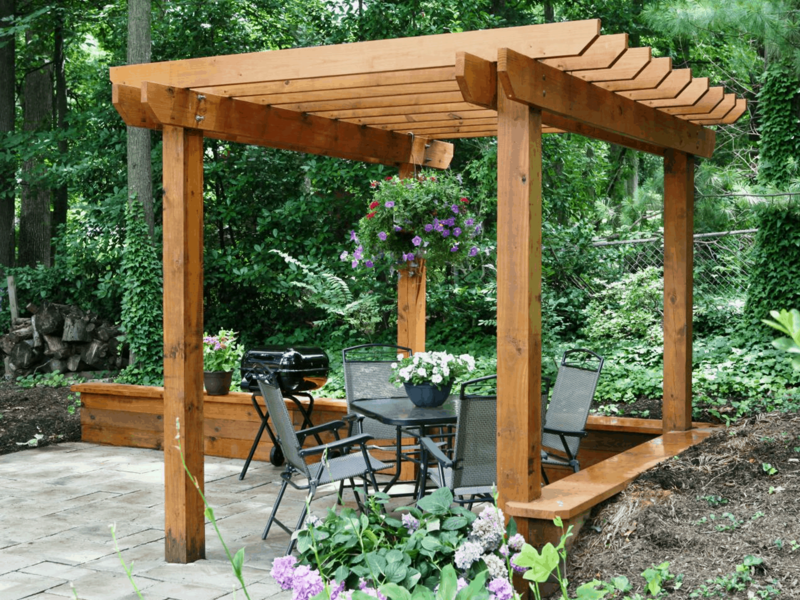 Add planter hangers, canopies, and more without causes too much fuss. Here’s a structure that plays right into a small deck area. If you’re looking to really revamp the entire space, you’ll want to look at this mini combination we found while looking at trends at DIY Network. 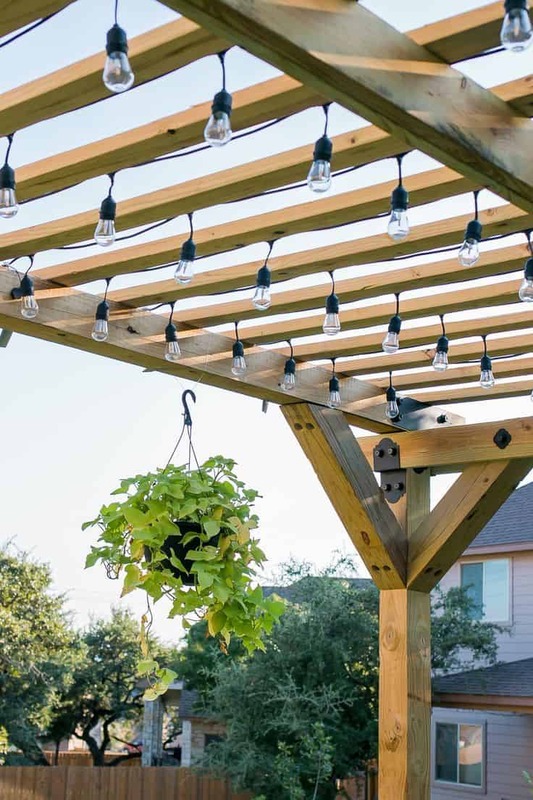 Ana White fashioned her DIY pergola after a Pottery Barn find. The “Weatherly” has a weathered, rustic inspired design, the addition of the stones as legs is a nice, personalizd touch as well. The Handmade Home has a white piece that we’re really loving. It’s an inspiring design because it reminds us all that we can add color to our finished product and totally revamp the ethos of the space. Even a nice blue or shade of sage may be lovely. Scouring for ideas on Pinterest and we found this gorgeous setup. 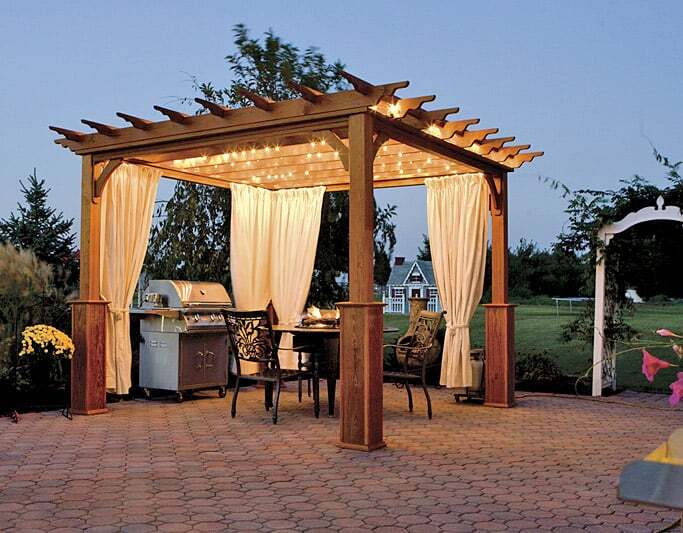 You can take a classic pergola, made right at home, and then add some lights for extra romance and welcomed appeal for those summertimes nights outside with family and friends. 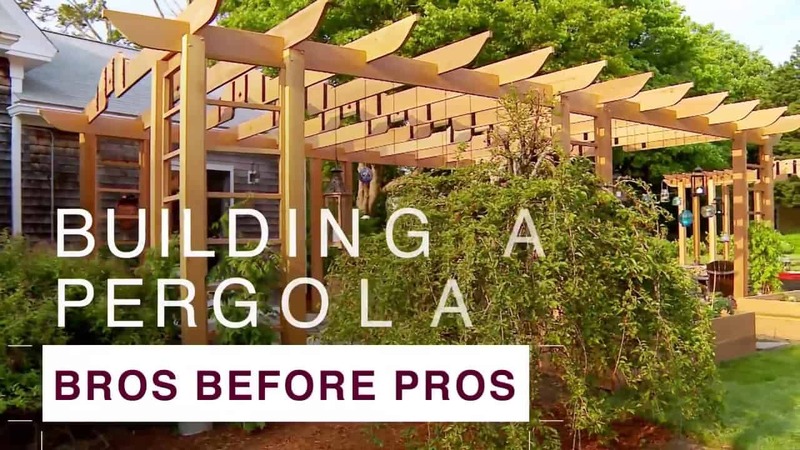 If you’d rather watch it happen, check out this YouTube video for an in-depth, easy-to-follow DIY pergola. This one as a more minimal, Swedish appeal that’s really on trend in the interior design world. 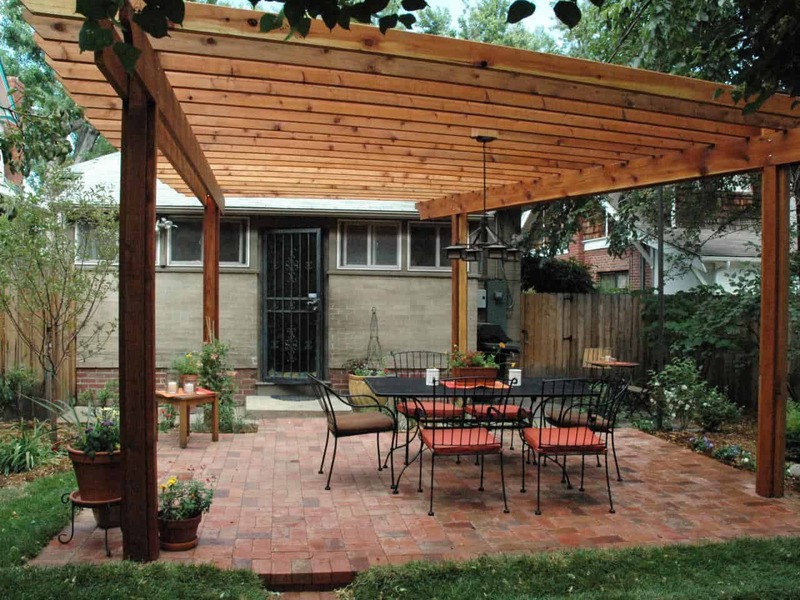 DIY Network has this pergola that’s completely unique to the others. It has a more shaded finished and won’t let in much light in as the others which makes it a little better when it comes to entertaining. Again, we found an interesting beauty on Pinterest. 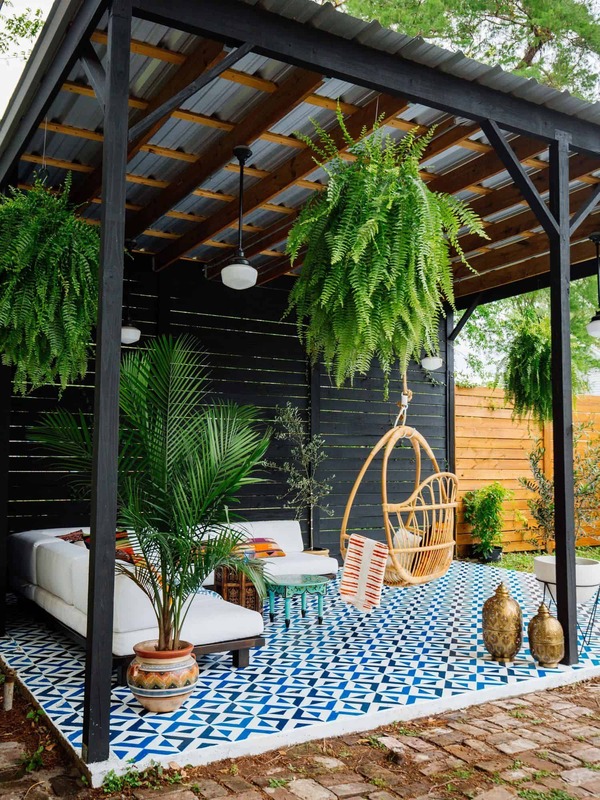 This pergola has a slight bohemian style that feels really welcoming and stylish. Paired with the tiled floor and charcoal finish, it’s quite a higher step in a fashionable outdoor direction. If you’re looking for something more contemporary, then we suggests checking out this design from The Garden Glove. The cherry finish really takes it into a more traditional and family-friendly realm. 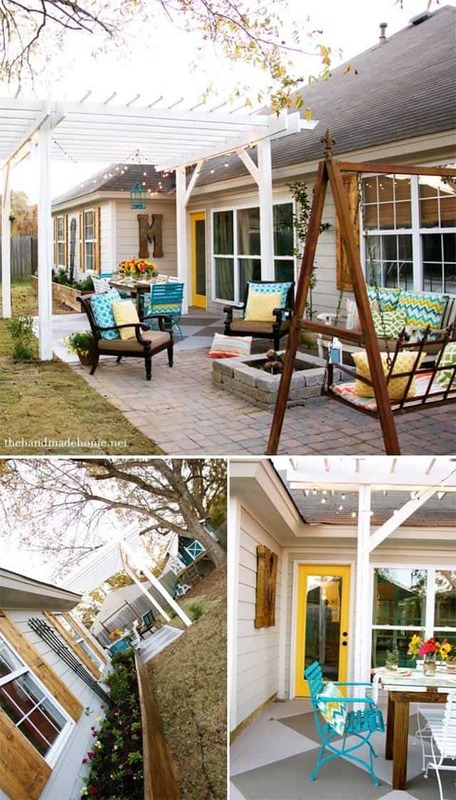 Cravings Home Trend gives us another great styling direction for our homemade pergolas. Adding fabric gives the area a more romantic and personal vibes. It’d be a great space for having dinner with the beau or an evening of relaxing with a good book while enjoying the outdoors. Wonder Forest has an entire tutorial on how to add a retracable canopy. Just think of all the possibilities by making this a part of your DIY plans – both for entertaining and for personal needs. Finally, we were looking for a more rustic, farmhouse-quality design and this beauty popped up while perusing Pinterest. It’s a bit more minimal in style but we love the edgy, mixed-material finish. Over at A Beautiful Mess, you’ll find this mini design. This site has tons of great tutorials to use around the house but we love their attention to outdoor detail and this is one of them. 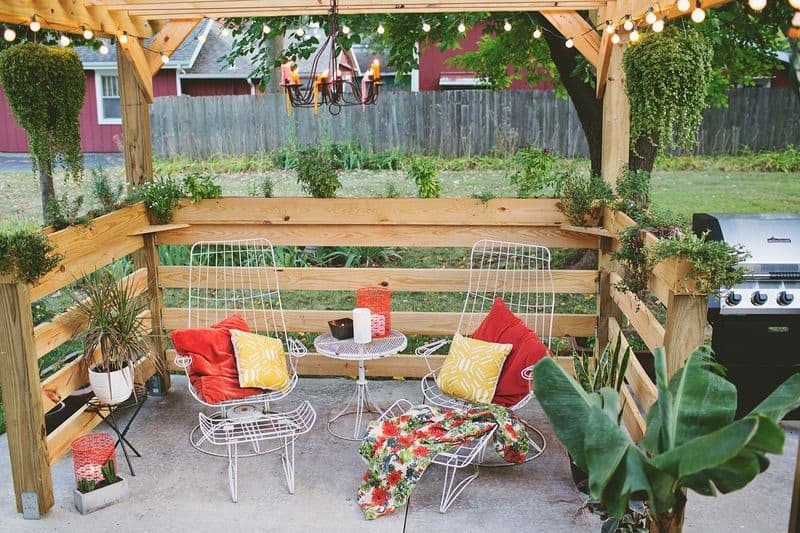 Even if you don’t have a super large backyard you can make it happen. Finally, stop by Lowe’s and take in these directions as well. 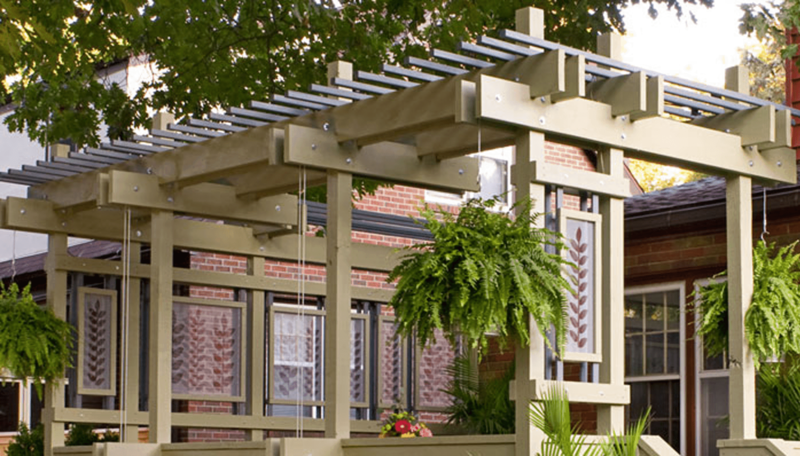 You’ll learn how to build an ultra modern pergola but with the addition of plant hangers!